"Support education and compatible access related to coastal wetlands and watersheds"
For detailed information on Goal 3 objectives and management strategies, see the Goal 3 section of the Regional Strategy 2018. We are not currently accepting Work Plan proposals for Goal 3. Please consider applying for a grant through the Community Wetland Restoration Grant Program. 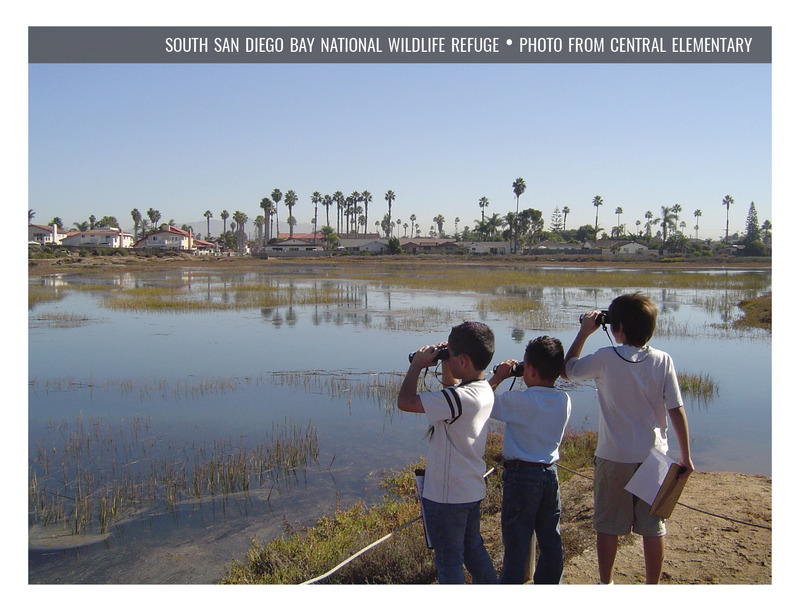 Southern California is an urban environment and recovering wetlands will enhance the quality of life for the 30 million people who live in the region. In order to support education and public access, the WRP will pursue projects that enhance the public’s enjoyment and understanding of wetlands, improve community stewardship, and better serve disadvantaged and underserved communities. The WRP has developed five Objectives, and a set of related Management Strategies, to support achievement of this Goal. The Objectives and Management Strategies provide targets to evaluate our progress and aid in project prioritization. Since implementation of the Objectives relies on project proponents to include education and access components in their wetland projects where appropriate and practicable, the objectives are not quantitative. It is up to the individual project proponents to set their own numeric targets for success. The Wetland Advisory Group and the Wetland Managers Group developed the Objectives for Goal 3 using best professional judgement gained through the collective experience of community groups. Include compatible and equitable public access. Promote development of educational materials and activities. Disseminate wetlands science, research, and lessons learned. Educational workshops, conferences and symposia. The five Objectives address compatible public access, CWRGP projects, disadvantaged and underserved communities, interpretive programs and educational materials, web-based education and conferences, workshops and symposia. The subject of a particular Objective may also be a subset of another Objective; for example, a CWRGP project may work in a disadvantaged community.